It's throwback Thursday and we're taking it way back with this baby boy photo of Korede Bello. The singer took to Instagram on July 13, 2017, writing, "Thursday." 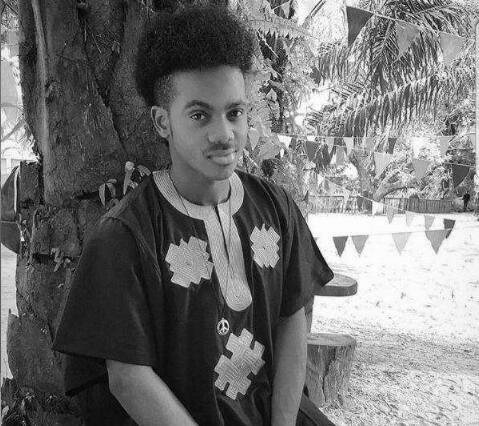 The shot sees a younger Korede Bello with his signature jerry curls and 'Bubba and Sokoto'. Korede Bello is a darling in the streets, amongst fathers and mothers, screaming daughters, adoring sons, and even the odd hard guy. He cuts across every demography that exists in this country, and he has achieved this by making music for everyone. “Godwin” is still his biggest blessing. The 2015 single which spread like wildfire across the African continent carried his name and brand across lands and into the homes of distant native people. Since that victory, other songs have become hits.